What Is The Great Attractor? There’s a strange place in the sky where everything is attracted. And unfortunately, it’s on the other side of the Milky Way, so we can’t see it. What could be doing all this attracting? Just where the heck are we going? We’re snuggled in our little Solar System, hurtling through the cosmos at a blindingly fast of 2.2 million kilometers per hour. We’re always orbiting this, and drifting through that, and it’s somewhere out in the region that’s not as horrifically terrifying as what some of our celestial neighbors go through. But where are we going? Just around in a great big circle? Or an ellipse? Which is going around in another circle… and it’s great big circles all the way up? Not exactly… Our galaxy and other nearby galaxies are being pulled toward a specific region of space. It’s about 150 million light years away, and here is the best part. We’re not exactly sure what it is. We call it the Great Attractor. Part of the reason the Great Attractor is so mysterious is that it happens to lie in a direction of the sky known as the “Zone of Avoidance”. 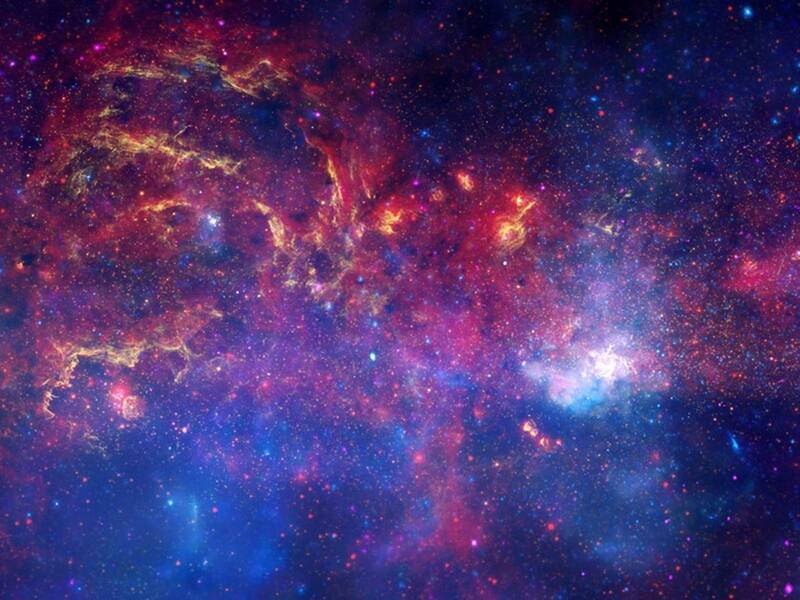 This is in the general direction of the center of our galaxy, where there is so much gas and dust that we can’t see very far in the visible spectrum. We can see how our galaxy and other nearby galaxies are moving toward the great attractor, so something must be causing things to go in that direction. That means either there must be something massive over there, or it’s due to something even more strange and fantastic. When evidence of the Great Attractor was first discovered in the 1970s, we had no way to see through the Zone of Avoidance. But while that region blocks much of the visible light from beyond, the gas and dust doesn’t block as much infrared and x-ray light. As x-ray astronomy became more powerful, we could start to see objects within that region. What we found was a large supercluster of galaxies in the area of the Great Attractor, known as the Norma Cluster. It has a mass of about 1,000 trillion Suns. That’s thousands of galaxies. While the Norma Cluster is massive, and local galaxies are moving toward it, it doesn’t explain the full motion of local galaxies. The mass of the Great Attractor isn’t large enough to account for the pull. When we look at an even larger region of galaxies, we find that the local galaxies and the Great Attractor are moving toward something even larger. It’s known as the Shapley Supercluster. It contains more than 8000 galaxies and has a mass of more than ten million billion Suns. The Shapley Supercluster is, in fact, the most massive galaxy cluster within a billion light years, and we and every galaxy in our corner of the Universe are moving toward it. So as we hurtle through the cosmos, gravity shapes the path we travel. We’re pulled towards the Great Attractor, and despite its glorious title, it appears, in fact to be a perfectly normal collection of galaxies, which just happens to be hidden. What do you think? What are you hoping we’ll discover over in the region of space we’re drifting towards? I often state how lucky we are to live in a time where we have a polar star (at least in the North hemisphere). Or that we’re not looking at Saturn’s rings from a profile because they wouldn’t be visible.